On today’s show, I interview NBC’s talented Nadjah Nicole. We talk about inspiration and purpose (a usually interconnected duo) as well as the practice of staying true to yourself and your community. Nadjah Nicole, a previous contender for NBC’s Emmy Award winning TV show The Voice, is a Delaware native. She was introduced to 10 million viewers during her 10 week run on the show, and is a talented singer and songwriter who has amassed an impressive resume. Nadjah’s performance, which she ... See More believes is the standard serving of soul music, complements her soothing, soulful, and melodic vocal style. 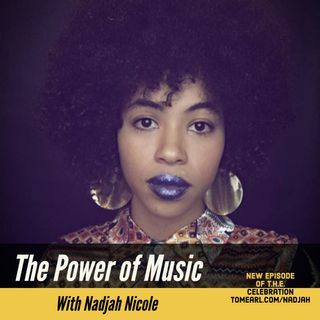 Nadjah's focus is on making an impact in the music scene. Along with her band, she performs original music as well as classic favorites.